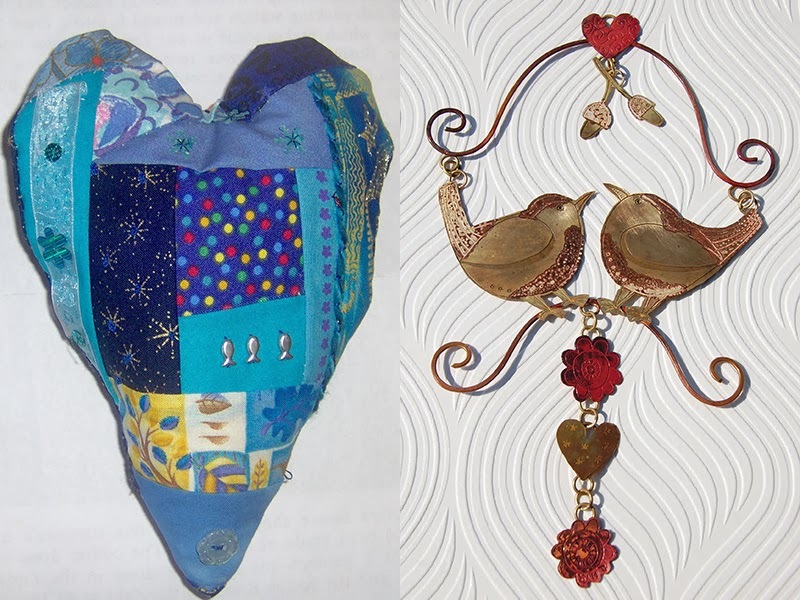 If you are looking for some original hand made Valentines Day gifts from St Ives - here are couple of ideas. 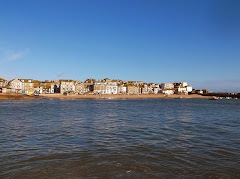 Sharon McSwiney - who has a shop in The Drill Hall St Ives - makes beautiful jewellery and other metal decorative items. She made the Lovebirds pictured above. Jo McIntosh makes lovely textiles including bags, hats and scarves. She made the fabric heart pictured above. 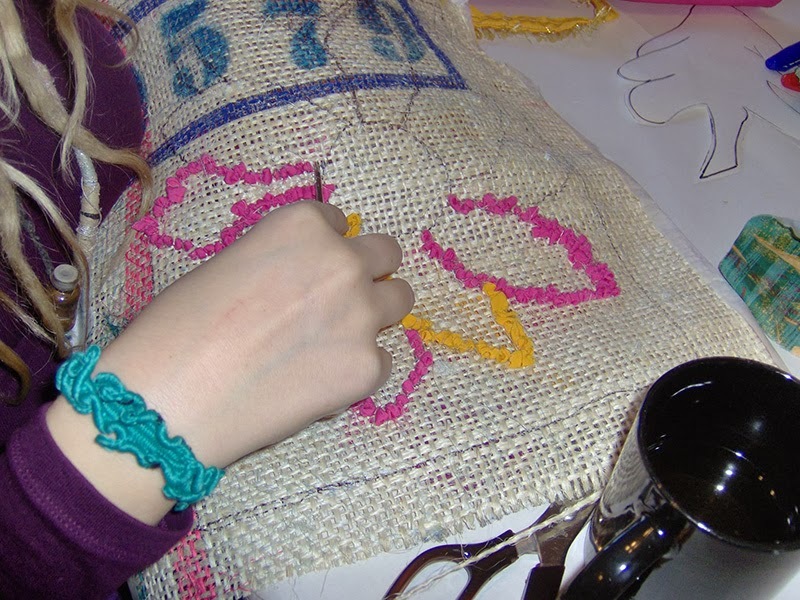 Jo offers these in a range of values - they can be used for a textile art workshop - Jo has a programme of these running through the year in St Ives. So your loved one can choose a date to suit them - great fun and a chance to get creative !